Discussion in 'Legal Issues and Dispute' started by Prashant Sharan, Jan 25, 2019. GDPR and a registrar’s parking ads might have saved it from a second reverse domain name hijacking finding. Wine producer Miguel Torres S.A. lost another cybersquatting complaint filed with World Intellectual Property Organization (WIPO) and narrowly avoided being found guilty of reverse domain name hijacking for a second time. 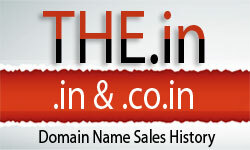 In 2001, the company was found to have engaged in reverse domain name hijacking over the domain name Torres.com. The company filed the new case against FamiliaTorres.com, which is owned by a family with the last name Torres in Miami.